When it comes to booking the ideal luxury yacht charter vacation, there’s a lot to consider and many choices to make. But what if you don’t know where to go or how to start the process? That’s when an expert charter specialist can help. The best yacht charter specialist has first-hand experience and knowledge. In fact, this is the golden rule when choosing a yacht charter broker. It’s prudent to have extensive knowledge of yachts, the best charter cruising destinations, and what to see and do. 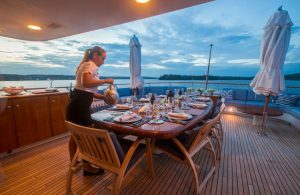 The best, most successful charter specialists are in the know about culinary trends and how to fulfill special requests on board. On top of all this, they have a terrific rapport with the best yacht crews. 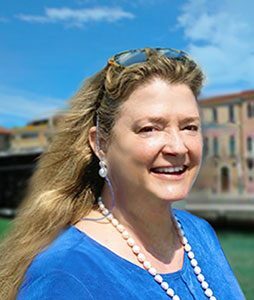 I’m Missy Johnston, Senior Yacht Charter Specialist for Northrop-Johnson Yacht Charters and owner of the company. I have 30 years of experience in the luxury yacht charter business. I’d like to share some of my experiences. 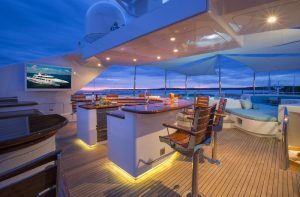 What I’ve learned may help you with yacht selection, determining the best itinerary, and seamlessly putting the best plans into action to create the perfect luxury yacht charter. I’m a true yacht charter insider. A former yacht chef, I’ve been a yacht charter specialist since 1988. 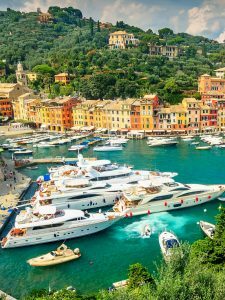 I’ve traveled to almost all of the worldwide yacht charter cruise destinations for which I provide charters. I use this knowledge to make recommendations for my clients. Those special extras in each charter location can elevate a charter experience to the trip of a lifetime. But it’s not just about locations, cuisine, and services. There are also countless details to take care of, including legal and regulatory requirements; usually a luxury cruise involves visiting a different country. I have devoted a great deal of time to industry volunteer work, including serving as the President and Board Member of the American Yacht Charter Association (AYCA). During my volunteer work with the maritime subcommittee of the House of Representatives and U.S. Coast Guard, I assisted in drafting and implementing the Passenger Vessel Safety Act of 1995 and drafted the first set of AYCA charter contracts in a close relationship with Admiralty Attorneys. This experience has given me a thorough knowledge of both the body of law and charter contracts and has made me an industry expert on contract use with U.S. flag vessels and charter in U.S. waters. In general, I have a strong grasp of worldwide maritime rules and regulations for all flags of charter yachts in various worldwide yacht charter locations. All of this plays a part in the advice I give to all of my charter clients. For example, maritime law can be quite different from civil law. The flag of the country that is flown from the stern of any yacht means that the yacht is registered and flagged to that country, and as such is a floating bit of that country. However, that floating bit is subject to the flag state’s maritime law rather than civil law. 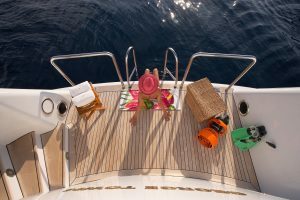 A charter on the yacht is subject to maritime regulations that might include VAT payments, taxes, and customs clearances. tolerance with stiff fines, including loss of the captain’s license. For these reasons, the captain will always be vigilant about stopping any drug use on board, to the point of stopping the charter. This is a right granted to the Captain in the charter contract. However, it’s not just countries that have their own rules and regulations. There are “gotchas” that one can only learn via a personal visit. For example, if you visit Akrotiri on Santorini Island, I will advise you to hire a private guide at the gate kiosk, as the site is poorly marked. I know this because I have been to Akrotiri many times. 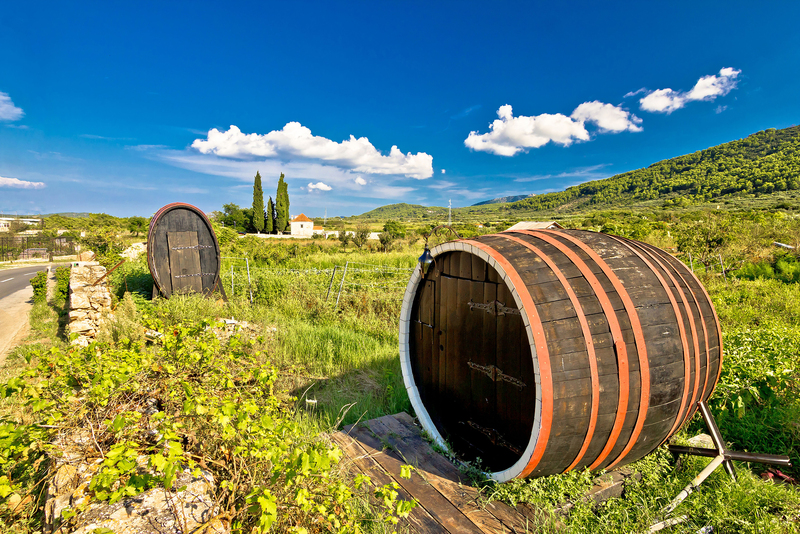 And you certainly don’t want to miss an amazing taverna, a winery tour in Croatia, or the restaurant that serves oysters and mussels plucked from the waters at the shell farm right outside the restaurant. My own side trips in a wide variety of locations have led me to discover, enjoy, and then recommend these hidden gems to my clients. 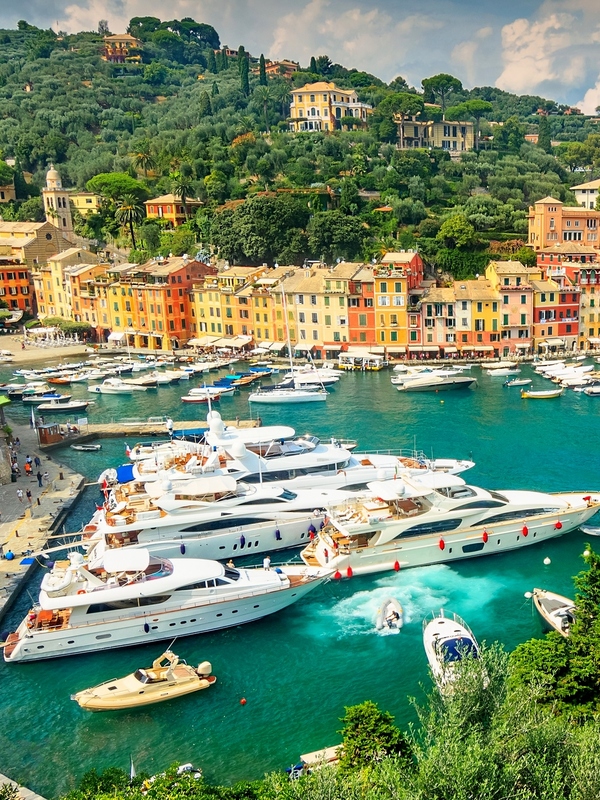 Your yacht broker is essentially your partner in the booking process. Establishing a trusting relationship in which you can ask them for advice and share your preferences and needs is important in ensuring that the entire booking process (and trip) is enjoyable. Below are qualities that your charter specialist should have. In a nutshell, charter brokers sell information and recommendations. The best information and recommendations come from extensive experience, which is developed over years of collecting information first-hand. As a charter broker, I am invited to cruise onboard various yachts. In a span of three decades, I have cruised on every type of yacht there is available for charter. This means that I can thoroughly describe the motion when on board different yachts, and can provide all of this information to a charterer when making their yacht selection. My own cruising experiences can also help determine the best itinerary for the destination. 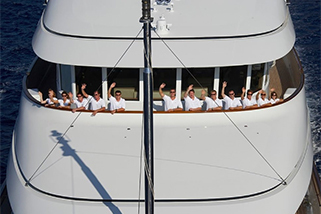 Good charter brokers provide you with advice based on their experience and knowledge of yachts and crews. They get their knowledge through industry-only yacht shows, seminars, and viewings throughout the year. And, of course, they get first-hand knowledge by experiencing the charters for themselves. In order to get the right information for their clients, charter brokers need to invest in the cost of international travel. There are industry-only charter shows at the beginning of each major season where crewed yachts available for charter in a given location for that season are available to be inspected. 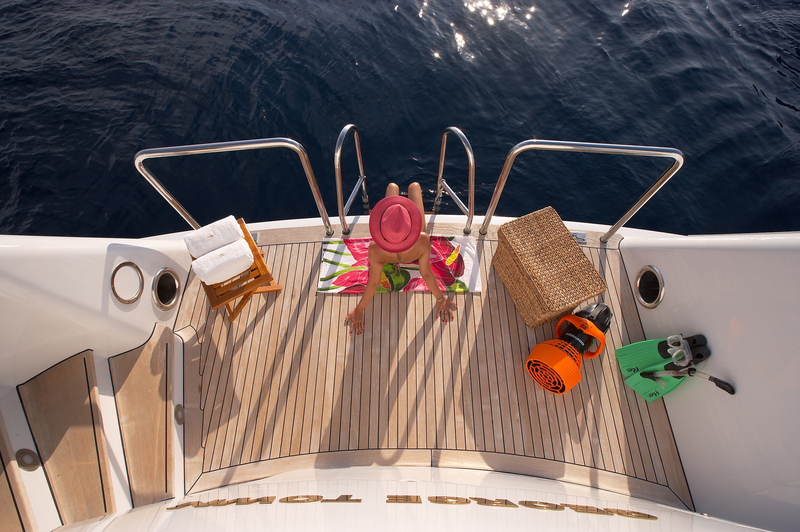 At industry-only charter shows, broker inspection is done with crews on board, in full uniform, with the yacht set up exactly as the charterer would see the yacht on boarding their charter. 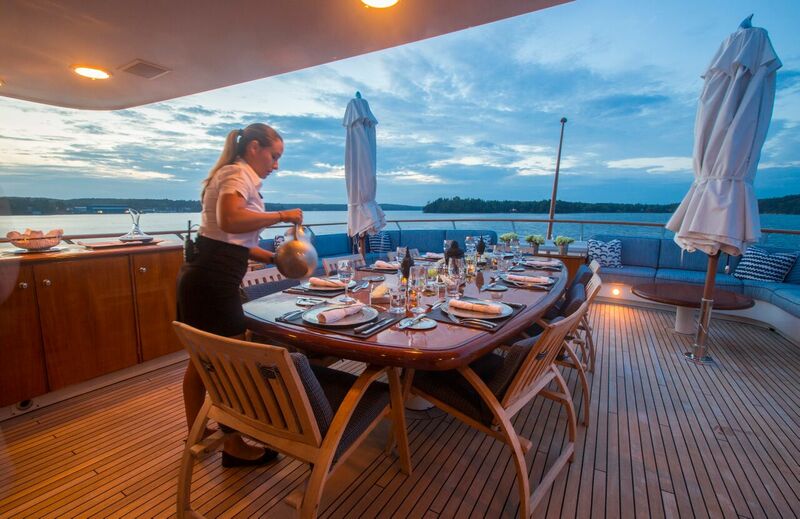 There are culinary competitions for the chefs, as well as private lunches, dinners, and other events for charter brokers to taste and see the presentation of the cuisine produced on board by the yacht chef. It’s an opportunity for me to learn about trends that are unfolding, including exciting food preparations such as molecular cuisine and cool new water toys such as jet-pack propelled toys. I attend these industry-only charter shows at the beginning of the Caribbean season (including in the British Virgin Islands, St. Thomas, and Antigua), in Barcelona for the opening of the Western Mediterranean season, in Greece for the Eastern Mediterranean season, and in Croatia and Turkey. I also attend a show in Newport, RI for the opening of the New England season. Over the last 30 years of attending these shows, I have developed a tremendous amount of knowledge about the conditions and crews on board various charter yachts. I can expertly advise and create appropriate itineraries with all possible conditions in mind. As a charter specialist, it’s important to build excellent relationships with the absolute best agents in all charter destinations. This way, an experienced luxury yacht crew is there to anticipate your needs and provide you with the highest standard of service on your own floating bit of paradise. I have enjoyed developing excellent relationships with agents who are the absolute best in all charter destinations. Whatever wish, you receive, (especially when it comes to cuisine). The answer is almost always “yes” for special requests, along with a cost estimate for the client’s further consideration. For example, perhaps a client wants a selection of top quality black pearls from a local pearl farm to be brought on board for private perusal and purchase. Or maybe a charterer wants to experience a real lobster and clam bake on a deserted island in Maine, including the all-important fresh, clean seaweed, or fish for barn door halibut while on charter in Alaska. All of this can be done for you. Every top charter experience has been enhanced by the services of the ship’s agent. When I travel, I experience all there is to see and do in an area. Then, I use my experiences to suggest itineraries. Your broker should be able to point you to the most beautiful beaches, hidden spots, great water sports locations, hiking and bicycling trails, top restaurants, nightclubs, bars, and great shopping spots for every cruising destination. Private crewed yacht charter is not just about cruising from port to port or anchorage to anchorage. It’s about what to see and do, and how to experience the local cuisine, if desired. It’s also about how to understand and experience the local culture, learn about the history, and enjoy the area with hiking, bicycling, walking, and shopping. There are experiences that can only be had when on a private yacht charter, and I know what they are. I add my own personal photos to each custom itinerary I create for each charter booked. The bottom line is that experience is the most important quality to look for when choosing a yacht charter specialist. It’s about having knowledge about yachts, cruising, weather conditions, and charter cruising destinations. It involves seamlessly getting all of your yacht charter plans in place, along with all special requests on board. It’s about having an understanding of the details, including maritime law and the best crews. Charter brokers who are successful genuinely want to put their clients on the right yacht that is perfect for them. I want you to have the ideal luxury yacht charter experience of your dreams, and I can make it happen.